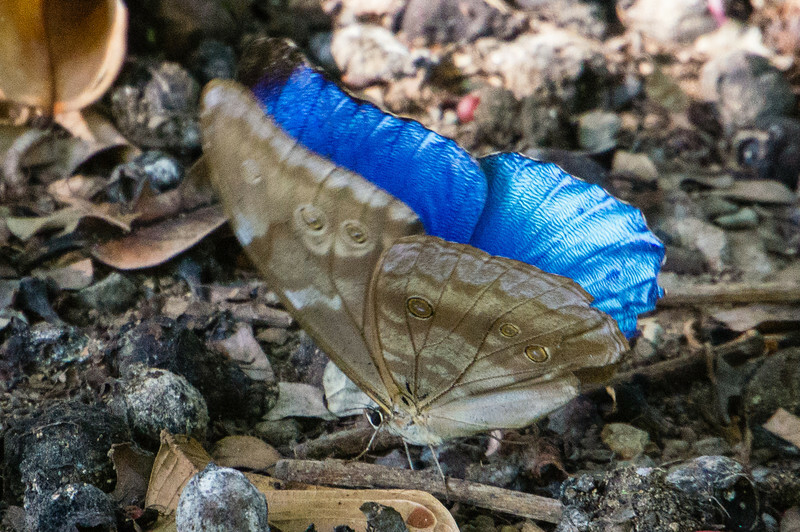 The Blue Morpho Butterfly is common, but hard to photograph. When perched, it folds its wings to reveal a dull brown edge coloring. But in flight, the top of the wings shine with a beautiful blue color.